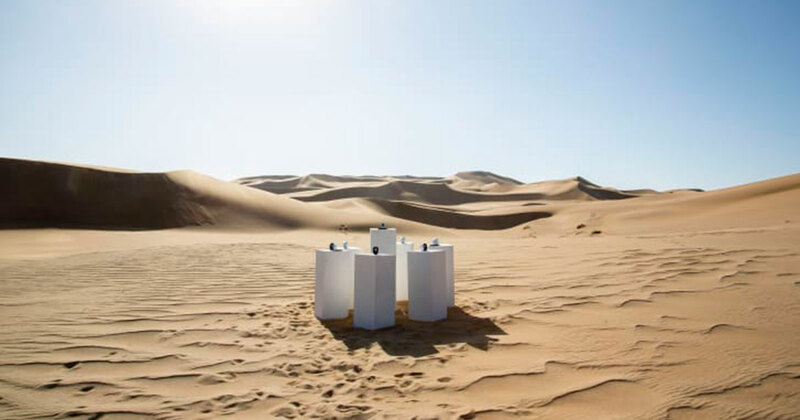 Somewhere in the middle of the 1,200 mile-long Namibian desert, an artist has ensured that Toto’s renowned song “Africa” will be playing in an infinity loop until, well, the end of time. German-Namibian artist Max Siedentopf chose the song based on its success and overall message, and picked the continent it serenades about as its forever resting place. “I was very intrigued by this and wanted to pay the song the ultimate homage and physically exhibit ‘Africa’ in Africa,” said Max in an email to CNN. Siedentopf set up the sound installation with solar batteries and large speakers, but has yet to disclose the exact location of his piece. Toto’s Africa is indeed a great song. But is it really the culmination of music? Would you have picked out that song to be the ONE musical piece to represent humankind after we are all gone? While musical taste is very personal, what would you choose to play forever and ever? What do you think is the most representative of our civilization as a song? No pressure, earthling!